Where can I find Nordic Ware products? Nordic Ware products can be found in many national and local dealers and distributors. Please contact your preferred supplier for availability or contact our Customer service to assist. What is the difference between Nordic Ware Commercial bakeware and the items I see at retail stores? The Nordic Ware Commercial Bundt pans are made from heavy duty cast aluminum, and have interiors coated with our premium non-stick coating. Does my Commercial Bundt pan require seasoning before use? Yes, it is recommended that you season the pan before first use. Please see our Use and Care instructions for further detail. Are Nordic Ware products dishwasher safe? For best results and longevity of your pans, we recommend hand washing using mild detergent. If machine washing is used, avoid using harsh chemicals and detergents as they will remove the seasoning, and possibly harm the pan and/or coating. Is my Nordic Ware cookware compatible with an induction stove top? Many Nordic Ware pans will perform on an induction stove top. Induction stoves require a pan with magnetic properties, so pans made from steel or iron are sufficient. You can test your pan by holding a magnet to the bottom to see if it sticks; if so, it will work on your induction stove top. Are Nordic Ware microwave and plastic products BPA-free and melamine-free? Yes, all our plastic microwave cookware & dinnerware, as well as our baking accessories (cake stands, serving pieces, mixing bowls, etc.) are 100% BPA and melamine-free. Are your non-stick coatings safe? 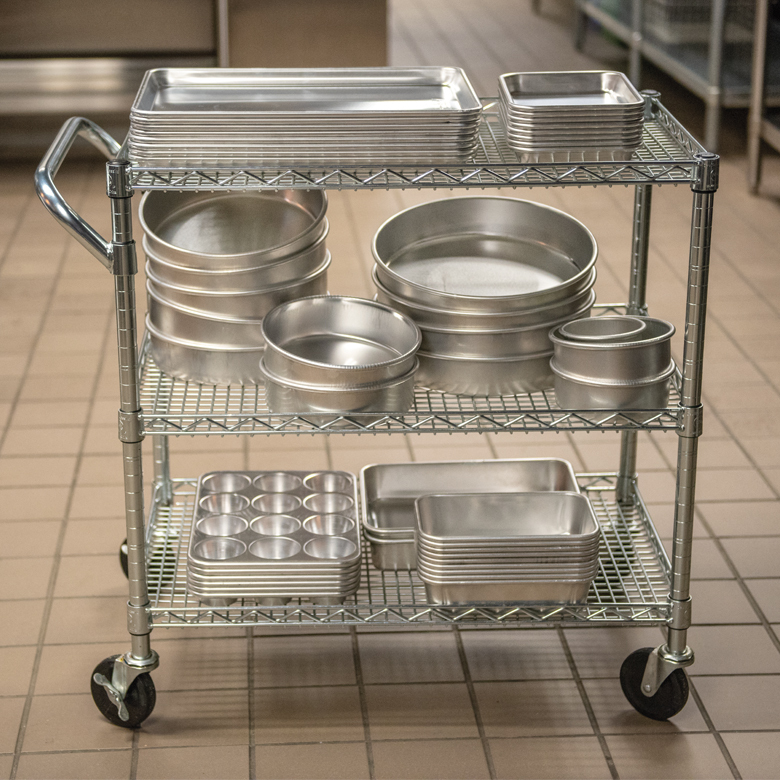 Our coatings are formulated to our specifications and produced in the USA by coatings companies that also supply the medical, military, foodservice and aerospace industries. The coatings we use on our cookware and bakeware are all FDA-complaint and conform to their 21 Code of Federal Regulations (CFR) 175.300. The coatings are safe for food contact. Do your coatings contain PFOA?